asy-to-use and free invoice register software. 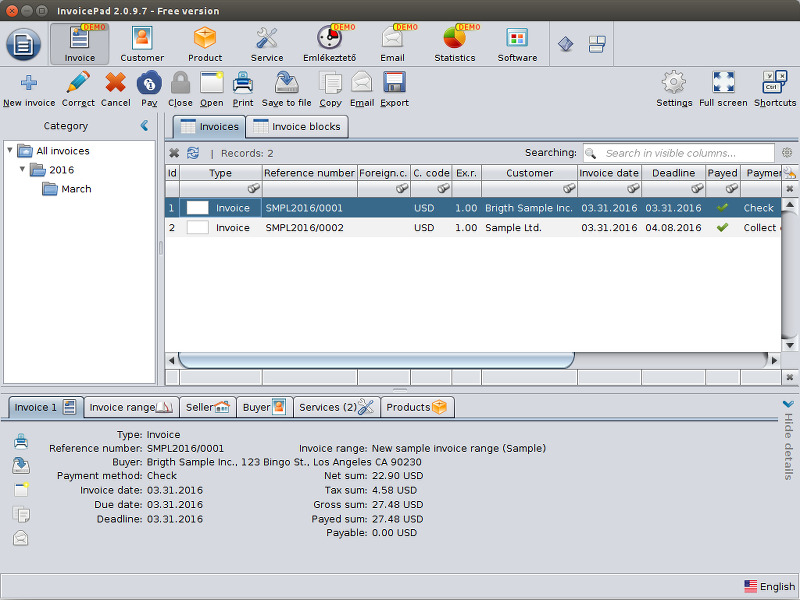 You can create paper based invoices, manage your customers and make statistics. The customer data fields are customizable and the software has an integrated email module. You can send personalized mails with the custom email templates. The reminder module helps you to manage the deadlines. You can put your own logo to the headline and bottom line of the invoice printout and custom texts can be inserted. The tables can be exported in many formats: XML, CSV, PDF, HTML.